I so enjoy the fresh juice that my juicer turns out day after day. But there is this other thing that it churns out that has perplexed me from day one. I mean really, what am I supposed to do with this? My first thought was to compost it, or feed it to the chickens. But seeing as we have neither compost heap nor chickens, I had to come up with something else. I’ve spent several weeks now coming up with solutions, and I’m here to save you the trouble of coming up with them yourself (you’re so welcome!). For the non-juicing crowd, let me define some terms. When you juice something–fruits, veggies, whatever–your juicer separates the juice from the fiber. The juice goes into one bowl and the fiber, the juice pulp, goes into another. Some, maybe most, people who juice just throw away this pulp, and there’s nothing really wrong with doing that. After all, most of the nutrients have been extracted and consumed in the juice. But there are some nutrients left in the pulp, and practically all of the fiber, and so I maintain that there is some use in consuming it–or at least in feeding it to your children. Here, my top uses for the daily bowl of veggie pulp. Not all of them are GAPS-friendly, so it’s helpful to have someone else in the house who is not on GAPS. Mix it into the kiddos’ mac and cheese. Mac and cheese is on our lunch menu fairly frequently, either the (organic) boxed stuff, or just some pasta mixed with butter and shredded cheese. 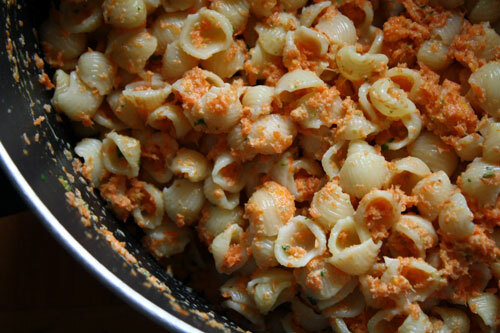 Mixing in my juicer pulp is a great way to up the nutrient value of plain old mac and cheese. Of course, this really only works if you’re juicing mostly veggies. Beets are especially fun and will turn your pasta pink. If you’re juicing mostly fruit then you can….. Mix it into the kiddos’ fruit salad. Also on our lunch menu? Fruit salad. I cut up whatever fruit we have on hand (oranges, pears, apples, grapes, raisins…) and mix it with a bit of honey, yogurt, and olive oil. Then I stir in the juicer pulp. This is best-received when the juicer pulp is mostly fruit. 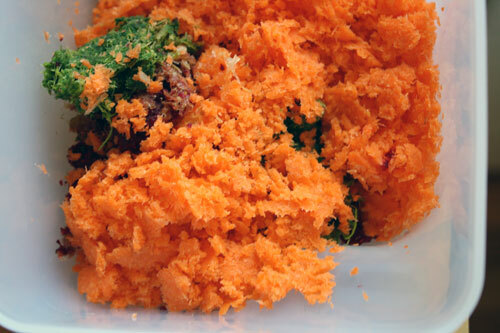 But I’ve also done it with pulp that is veggie based (primarily carrots) and they still ate it. Spread it onto a tortilla and roll it up. If you’re feeling ambitious, you can mix in some herbs or garlic or some other thing to spice it up a bit. Cook it with your chicken broth. On GAPS I make 2-3 batches of chicken broth every week. There’s a pretty good chance that there’s a crock-pot full of simmering chicken broth ready to receive a bowl full of veggie pulp. The pulp adds some flavor and (surely) some nutrients. Similarly you can…. GAPS also requires me to make a lot of soup and stew. I add the pulp to whatever I’m cooking that week to boost the fiber and nutrient content. I’ve even added it to the red sauce in the family’s lasagna. If you have just a little bit of time on your hands, you can bake with it. Here are my favorite recipes for using up veggie pulp. They are all super-easy. 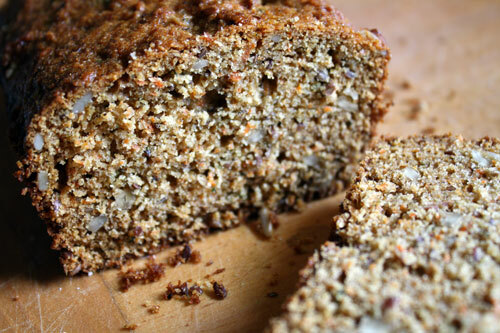 There are tons of recipes out there for muffins and quick breads made with veggie pulp. This one is the best I’ve found. It’s actually a carrot bread recipe, but who’s going to notice a little ginger (and spinach, and beets…) mixed in with the carrots, right? My kiddos love this bread. And it’s so full of good-for-you things that I serve it to them for snack, slathered with butter. I like to switch up the mix-ins according to whatever’s on hand–pecans, sunflower seeds, flax seed, raisins. They all work great. 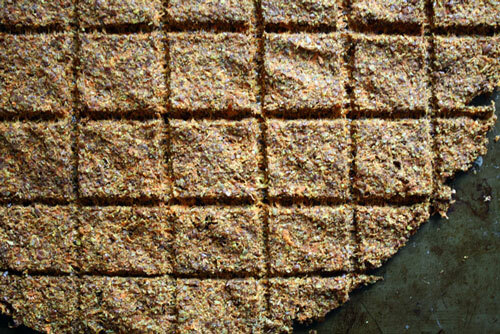 I was so excited to find this recipe for raw crackers using juice pulp. I don’t have a dehydrator so I just use my oven, turned on the lowest possible setting. It takes about 12 hours to make them mostly dry, at which point I will cut them apart with some kitchen shears and then pop them back in for another hour or two until they’re done. Again, you can change up the spices to suit your preference. If your pulp is mostly fruit, try using cardamom, or cinnamon, or nutmeg and use some orange juice or extra lemon instead of soy sauce. The Sweetie Pie doesn’t care for the curry powder, so we’ve been experimenting with other savory spices like mustard and garlic. My kiddos love these crackers with hummus. I use them to fill in the cracks of not-quite-full bellies at lunch. If someone tells me they’re still hungry then they may eat these crackers until they’re full. This recipe is another family favorite. And it’s my favorite to cook because it uses my bread machine and requires so very little effort on my part. 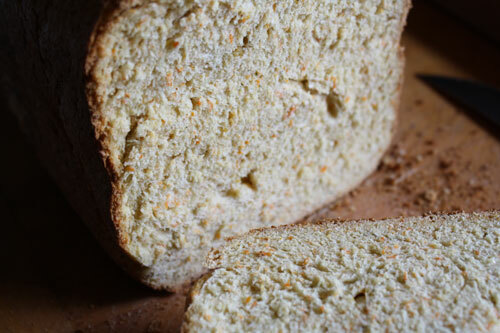 I make this bread about twice a week and serve it for lunches, snacks, or with dinner. It’s particularly delicious topped with butter and cheese and toasted in the toaster oven. Here again, switch out spices and seasonings according to whether you want a sweet or savory bread. This recipe has been in my family’s rotation for a few years. It’s great for weeknights when dinner plans have been derailed and we need something quick and easy. Mixing in the juicer pulp makes it even easier (no veggies to prep!). 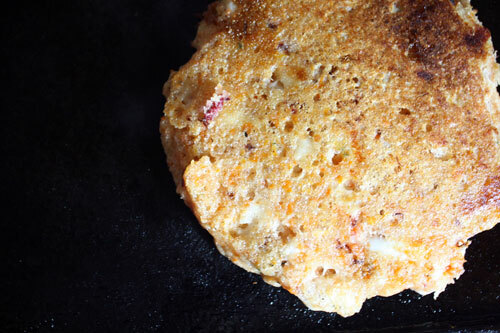 Use your favorite pancake mix, store bought or home made. There are still days when I just can’t deal with the juicer pulp and I end up throwing it away. But most days, we’re able to put it to good use with minimal effort. I’d love to know what other people are doing with their juicer pulp. Anything else I haven’t thought of? The easiest thing to do is use the pulp by blending it into the juice just made. This idea then produced parseley juice and kale juice and basil juice etc. Jusdt add about 2 cups of solid to 4 cups of water and blend on highest speed for a minute. Then blend again. My blender has a 3.5 hp motor so creating an emulsion in this way is no problem. I’m going to attempt pulp pizza crust. So have you ever tried making a coleslaw type dish with the fruit pulp?